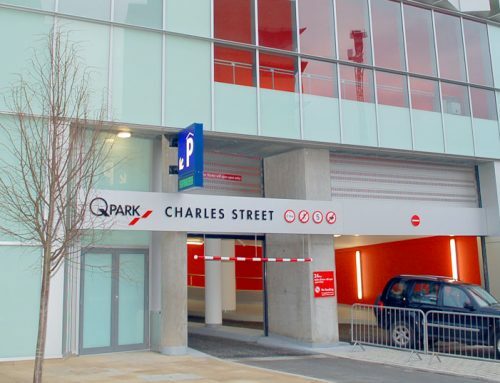 Accommodating 1,032 car park spaces. PCE GT flooring units delivered to site with an anti skid finish cast into the top surface. Offsite manufacture in 5 carefully controlled QA facilities monitored by PCE. This ensured that all units delivered were to approved standards of finish and dimensional tolerance. 2 PCE owned Liebherr crawler cranes were deployed on site. Tight site constraints including being in the city centre, one edge of the site abutting a river, and the footprint of the structure being close to all the site boundaries meant that PCE had to consider carefully the best choice of frame components to minimise deliveries and any potential road and site congestion. 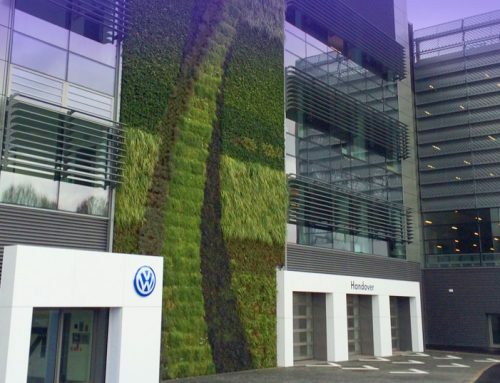 The resultant design led to the extensive use of the PCE GT flooring system, with 877 GT units being used providing 21,757m² of the suspended floor area. GT units are wet cast 400mm deep with the final floor finish being formed during casting as they require no insitu concrete structural topping, giving significant savings with regards total weight of concrete used, reduced site deliveries and programme savings. For the Stafford MSCP this alone equates to a saving in concrete use of approximately 3,500 tonnes compared to other precast long span flooring options. PCE Contiframe concepts were used in the design of the structure including the casting of pairs of columns and the beam supported by them as single unit portals, with 133 of these being used. This has again significantly reduced the erection programme. Apart from enabling a faster erection programme the portal units manufactured to tight tolerances have improved the overall quality of the project with improved accuracy of fit. The reduction in lifting operations and on site work activity improves the overall safety on site. 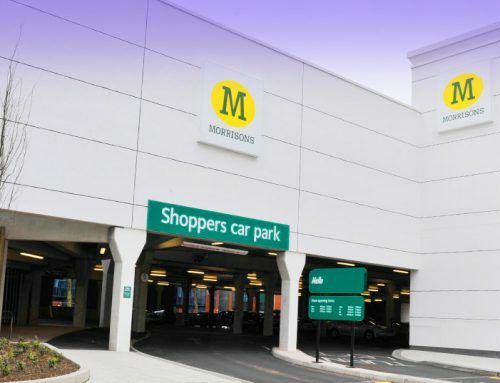 For the Stafford MSCP this equates to a saving in concrete use of approximately 3,500 tonnes compared to other precast long span flooring options. PCE’s in house company systems enable full control of a project from design initiation through to on site handover. Using highly experienced and skilled construction teams together with the companies own cranes – for the Stafford project Liebherr LR 1160 and LR1130 crawler cranes as well Peri handrailing safety systems helps to ensure the certainty of safely delivering a first class project on time.